Most people don’t think that auto accidents can’t happen to them. After all, your are a safe, experienced driver. You follow the laws of the road and take safety very seriously. However, you are not perfect – and neither are other drivers. Nearly every driver gets into at least one accident in their lifetime. If you live in Oregon, you should be especially careful when driving on Highway 97. Highway 97 (located by Bend Oregon, Redmond Oregon) is known for being very dangerous. Many people are careless and drive too quickly on this highway. The risks increases exponentially in the wintertime. The roads are sleek, and as a result, accidents are common . We encourage you to drive safely, especially in the winter. However, if you do get into an auto accident, it’s vital that you hire a personal injury attorney. A personal injury attorney Bend Oregon or personal injury Redmond Oregon will ensure that you get the money that you deserve. Getting in an accident can be traumatic. It can result in debilitating injuries that prevent you from working or greatly reduce your quality of life. Unfortunately, we can’t go back in time and prevent your accident, but we can help you pay your bills. We are a team of skilled, experienced attorneys. 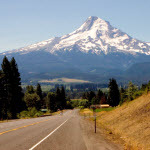 We are personal injury attorney Bend Oregon and personal injury attorney Redmond Oregon. We are known for being the best attorneys in our respective areas. 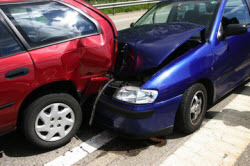 We are highly educated and are experts at dealing with auto accident incidences. We will ensure that you get the most from your settlement. While you spend well-deserved time with family and friends, we will work hard to help you get the money that you need to cope with your new injury. Ryan specializes in auto accidents in all areas off Highway 97 throughout the state of Oregon. 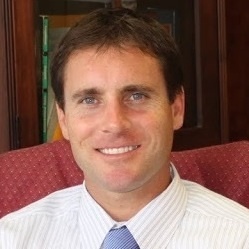 Contact personal injury attorney Ryan Hilts for a free consultation today. Getting in a car accident is a terrible experience. The physical, emotional, and financial trauma can be overwhelming. Though it may be the last thing on your mind at the moment, it’s vital that you call an attorney soon after your car accident. Later on, you will thank yourself for making this decision. It’s simple. The insurance companies only care about making money. They don’t care that you got injured and need to support your family. They don’t care that you dealt with emotional trauma or got a concussion. All they care about is paying as little money as possible. If you don’t have an attorney, you are powerless to stop them. They will pay much less money to you than they would if you hire a good attorney that will fight for your rights. So you’ve determined that you need to hire an attorney. You’ve made a mature, good decision that you will help you get the money that you rightfully deserve. However, you can’t just choose the first attorney that you see. It’s vital that you hire a good personal injury attorney Bend Oregon. A good attorney will allow you to get the maximum amount of money possible while hiring a bad attorney will limit the amount of money that you will receive. A good car accident attorney Central Oregon attorney understands the laws, has years of experience, and has worked on many cases. Ryan Hilts fits all of those requirements. In addition, he is known for providing a “shoulder to lean on.” He truly values all of his clients. He is passionate about helping them get the money that they deserve. 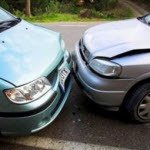 Ryan Hilts known as the premier auto accident attorney Central Oregon. You can rest assured that he will help you win your case. Contact Ryan now! The car in front of you stops suddenly. You try to swerve out of the way, but it’s too late. You hear a loud crash and the airbags in your car hit you in the face. The world stops. You can’t comprehend what just happened. You were in an auto accident. If you get in an auto accident in Bend Oregon, one of the first things you should do is call an attorney. Whether you are injured or your car is damaged, you need to use an attorney to help you get the money that you deserve. The fact is, the insurance companies don’t care about you. They will do whatever they can to screw you over and pay as little money as possible. A good accident attorney Bend Oregon will help. However, you can’t just get any old attorney – it’s vital that you choose a high-quality one. There are many mediocre attorneys out there, and hiring one will greatly reduce the amount of money that you receive from your claim. Luckily, you won’t have to look far for a personal injury attorney Bend Oregon. 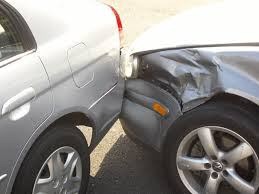 Ryan Hilts is known as the best auto accident attorney Bend Oregon. He will help you get the money that you deserve for your case. When you hire Ryan Hilts, you will immediately know that you made the right decision. Ryan Hilts is professional, knowledgeable, and skilled at his job. He knows the courtroom inside and out. In addition, he is compassionate. Many people enjoy working with him because of his “bedside manner.” Ryan Hilts understands what you are going through and does his best to comfort you in these hard, confusing times. You can hire Ryan Hilts for a reasonable fee. We are confident that you will enjoy working with him. Contact Ryan now! Why Hire an Auto Accident Attorney in Portland Oregon? Keep a journal of the symptoms of and the limitations your injury has caused you. An example may be” “poor range of motion in my neck, cannot sit at desk long enough to work”. Such documentation will become “evidence” to support your case. Taking photos is very useful too if applicable. If the other driver was not insured, or did not carry enough insurance, you want to be sure to tell Ryan Hilts this. Being underinsured can change the way he may work your case. Ask about the compensation the attorney is asking for. Do you think it will suffice for your current and future medical costs from the injury? 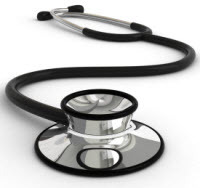 Keep all medical bills, second opinion notes and any other documentation Ryan Hilts can use to help bolter your case. If you insurance company is pressuring you to settle quickly, you need to get a lawyer who can confront them and end the harassing calls. There is no need to settle quickly. Remember that the insurance agencies are trying to protect their assets. You are NOT their priority. But your auto accident attorney will advocate for you. This is what Ryan Hilts has experience doing. Getting into an auto accident is stressful and can be life changing. No matter what you may think, the only way to be sure you are in a fair fight is to get an attorney. These are the rules of the game. Insurance companies fight hard for their rights; get Ryan Hilts, an experienced Oregon auto accident attorney, to fight for yours. Ryan is an experienced personal injury attorney in Portland Metro area. Questions? Contact Ryan for a free consultation. http://ryanhiltslaw.com/wp-content/uploads/2014/04/Why-Hire-an-Auto-Accident-Attorney-in-Portland-Oregon.jpg 400 495 admin http://ryanhiltslaw.com/wp-content/uploads/2017/02/Oregon-Personal-Injury-Attorney.png admin2014-04-29 23:38:302018-09-04 16:32:20Why Hire an Auto Accident Attorney in Portland Oregon? · Effects Can Be Long Term: Over 40% of persons suffering from TBI are disabled for at least one year. This usually means patients are unable to work, or participate in a major life activity (school, work, relationships). Family is most likely to care for and manage affairs for patients during this time. This is one reason why ensuring your legal rights is important to us. · Military Personnel: Soldiers who are exposed to blasts are especially prone to this injury. Often, when they arrive home, they are unable to work and experience memory and cognitive problems. 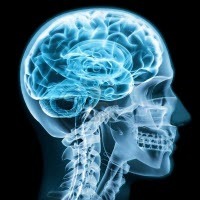 Traumatic brain injuries are potentially devastating. Symptoms do not always present themselves immediately and can appear days after the incident. If you have been injured by blow to your head, be sure to seek medical help. Then consult our Oregon brain injury lawyers about your legal rights. If you’ve had an accident in Oregon, you need good advice, especially if you’ve been unable to work. Let your personal injury attorney, Ryan Hilts, guide you through the process. Ryan is a specialist accident attorney in Oregon and has been practicing law for many years. He has an enviable reputation and he has also been listed as a ‘Rising Star’ in 2011, 2012 and 2013 by Super Lawyers Magazine. An expert at conflict resolution, Ryan prefers to resolve cases before they go to trial. He also truly cares for his clients and promises to work with respect and hard work. Each of Ryan’s clients has access to him as he believes in a personal, one to one approach. As an experienced accident attorney in Oregon, Ryan is used to handling cases just like yours. You will be treated with respect to ensure you get the outcome you deserve. Call Ryan Hilts today for an informal chat to see what representation you need. One quick call could save you a lot of time, and money.